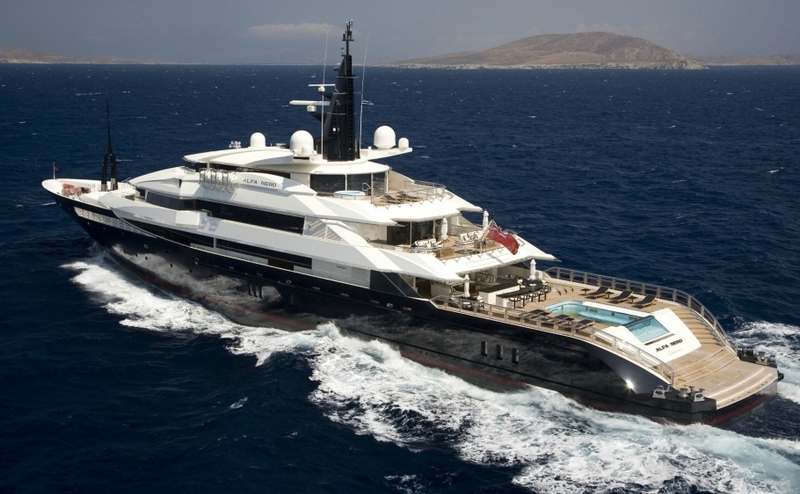 Motor Yacht ALFA NERO is a full custom-built Superyacht launched in 2007 by Oceanco yard in the Netherlands. 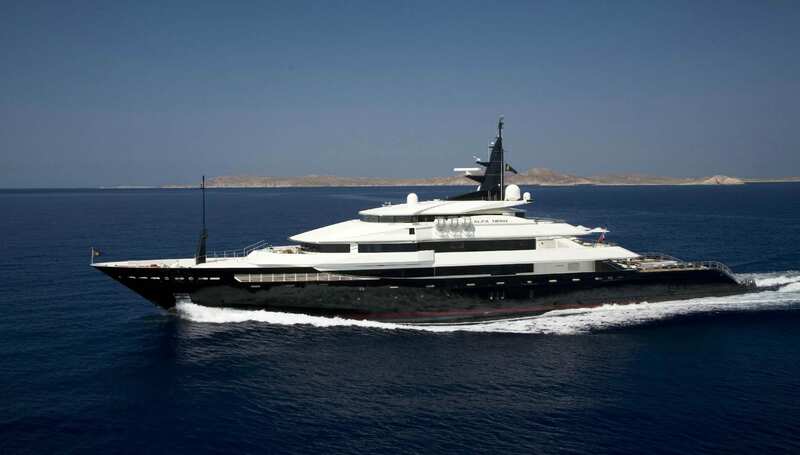 ALFA NERO was last refitted in 2009 and is in immaculate condition. 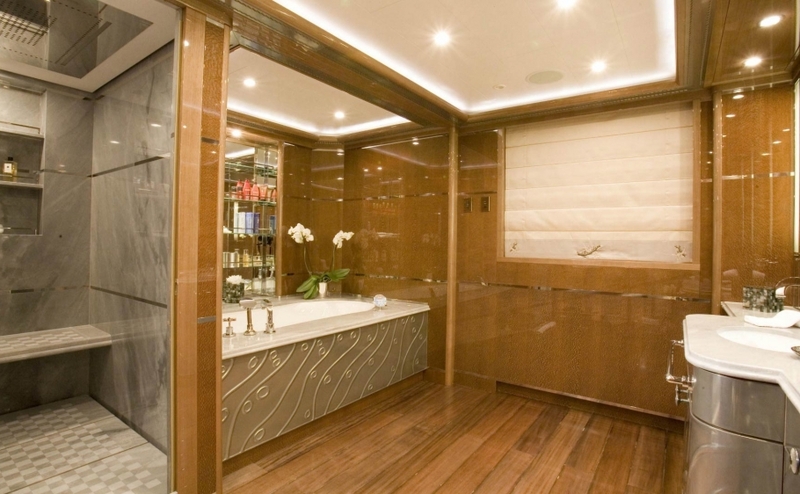 Her bespoke interior is the work of world’s famous designer Alberto Pinto and her exterior styling is the work of Nuvolari & Lenard. 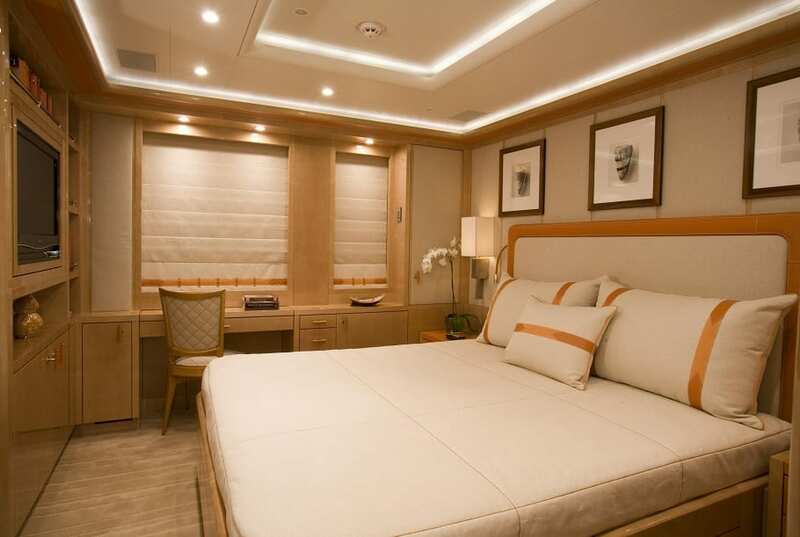 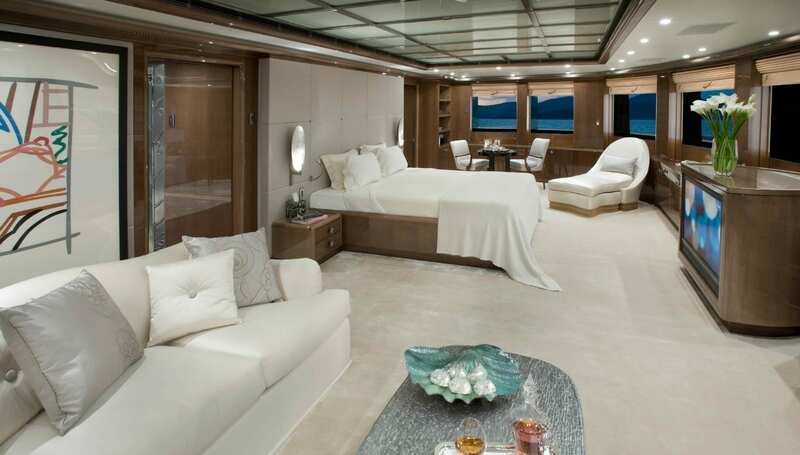 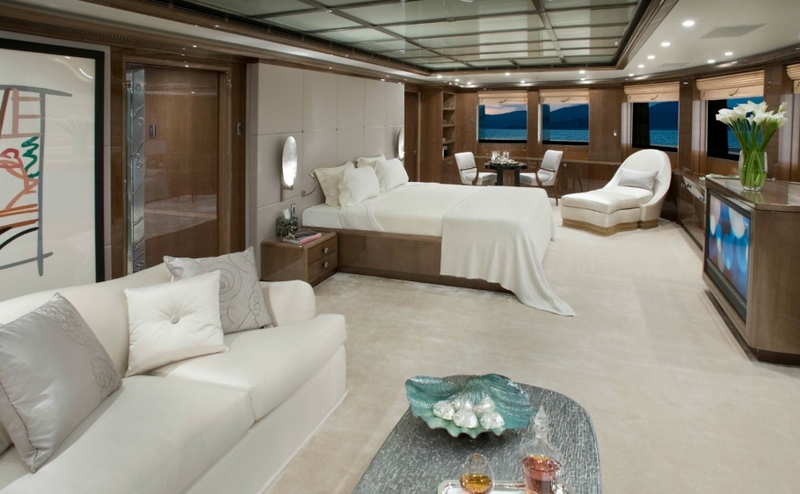 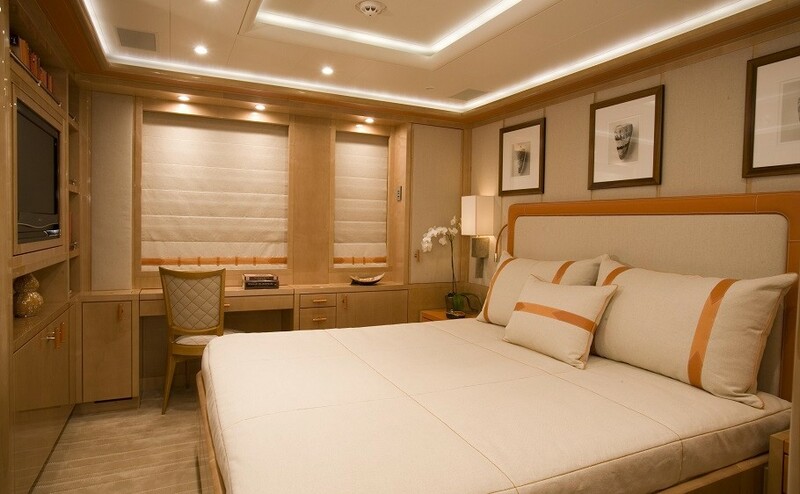 ALFA NERO interior layout sleeps up to 12 guests in 6 spacious staterooms. 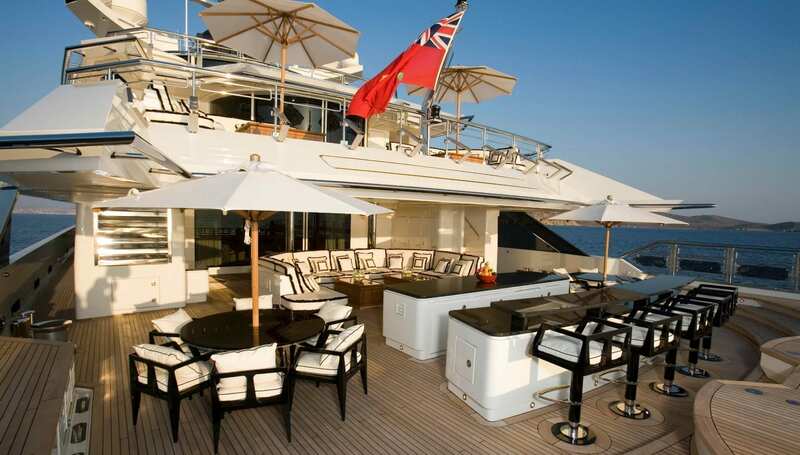 She is also carrying a crew of 27 members on board to ensure a relaxed, professional and impeccable luxury yacht experience. 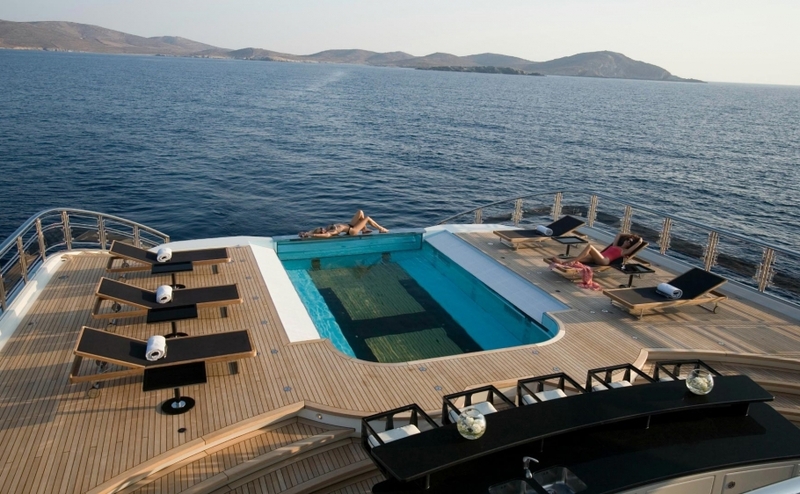 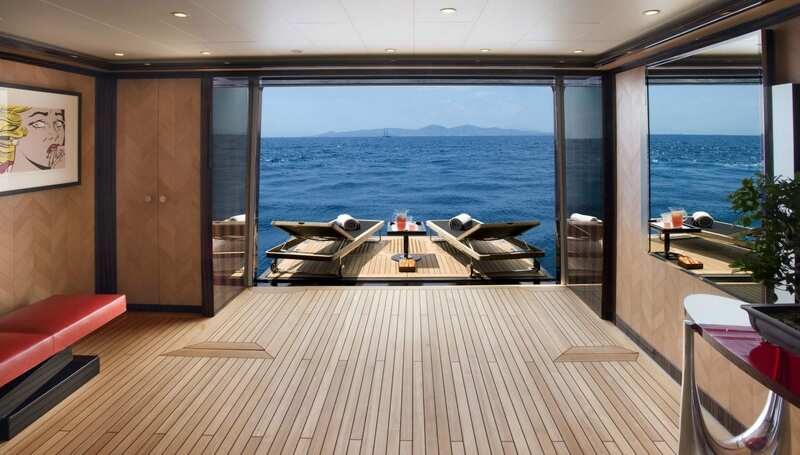 ALFA NERO features an innovative pool that transforms into a helipad, ample deck areas and warm interiors. 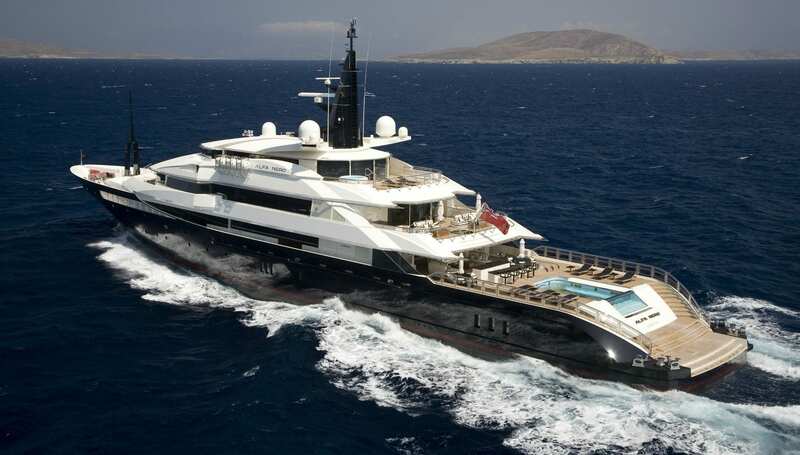 She is built with a steel hull and aluminium superstructure and boasts a cruising speed of 15 knots with a top speed of about 20 knots. 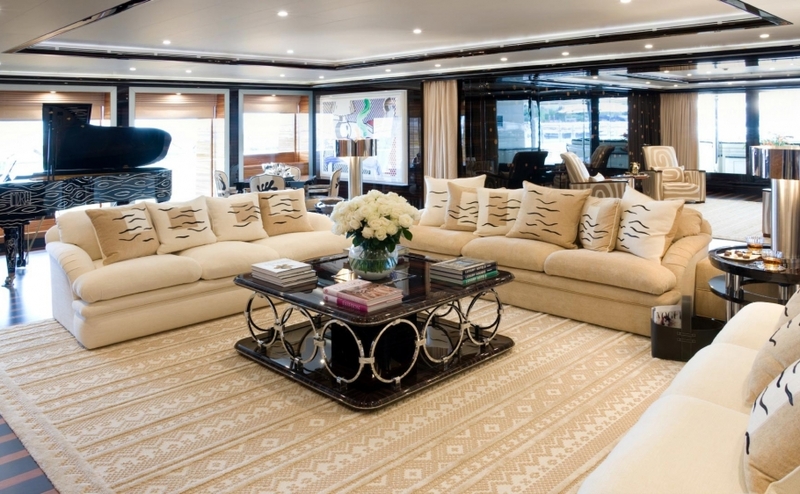 She is one of the most famous Mega yacht available on the market for charter and is undoubtedly the perfect combination of performance and luxury. 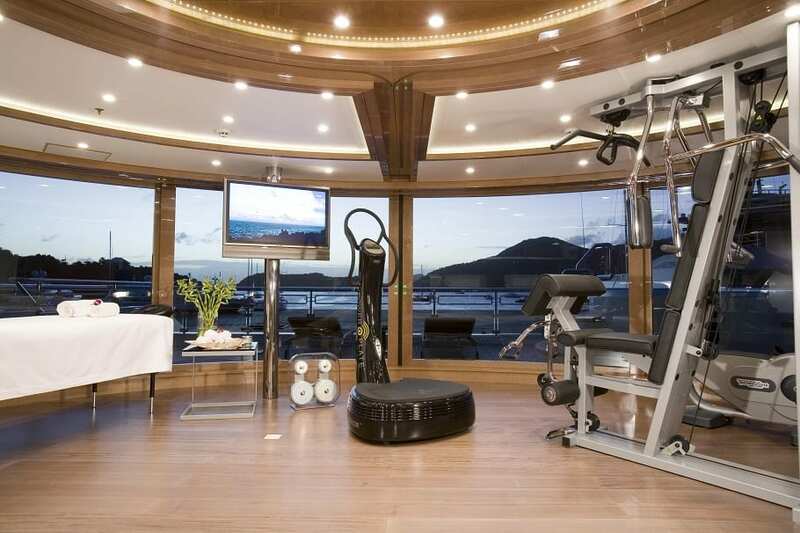 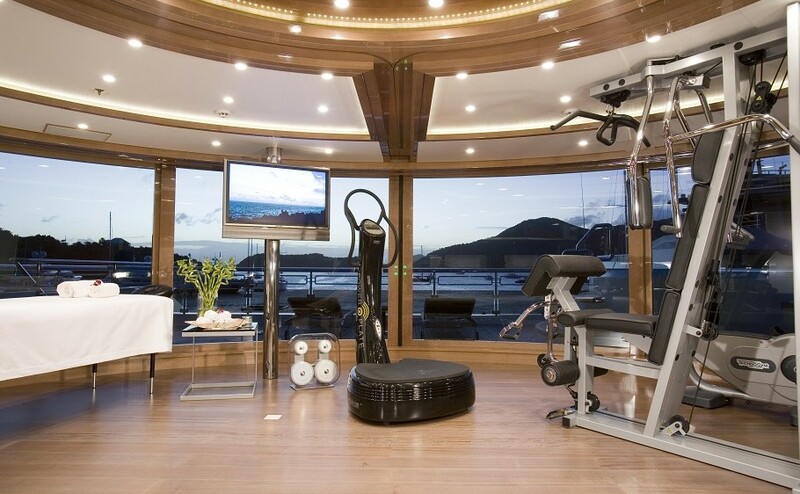 ALFA NERO has unique features such as a Helicopter Landing Pad, Swimming Pool, new generation stabilisation system , Gymnasium, Jacuzzi (on deck), Swimming Platform, Beach Club and a Dance Floor. 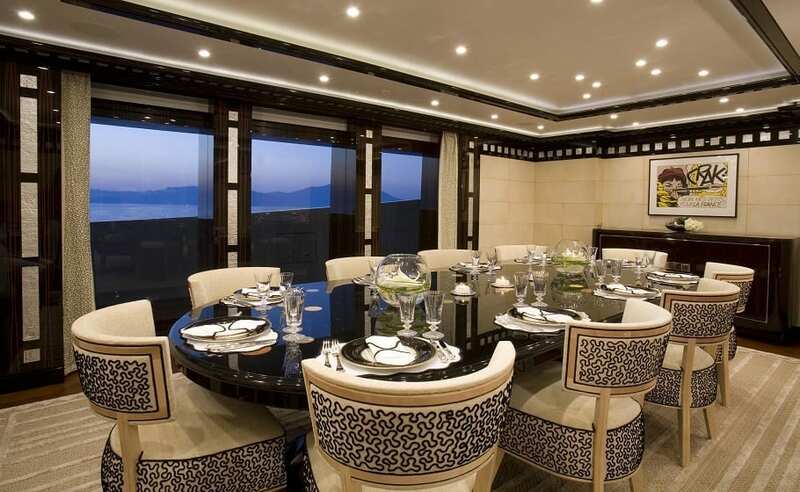 Modern and stylish, her beautiful furnishings and sumptuous arrangements makes her the perfect candidate the all Mediterranean this Summer. 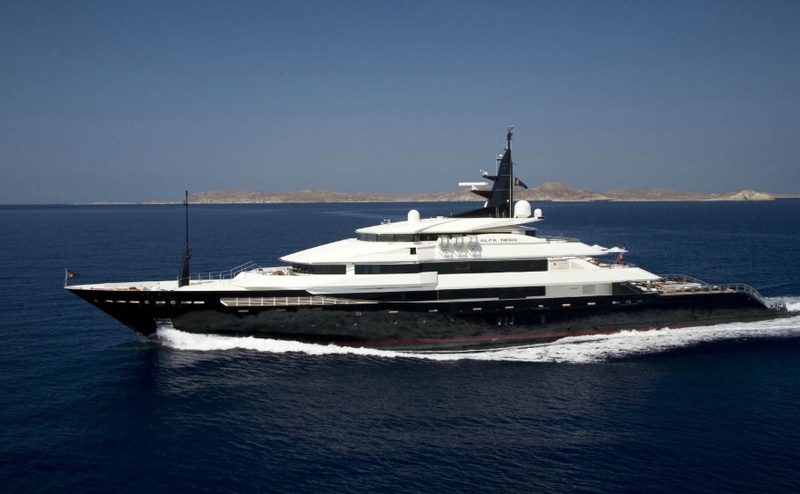 ALFA NERO navigates from Croatia to The Balearics. 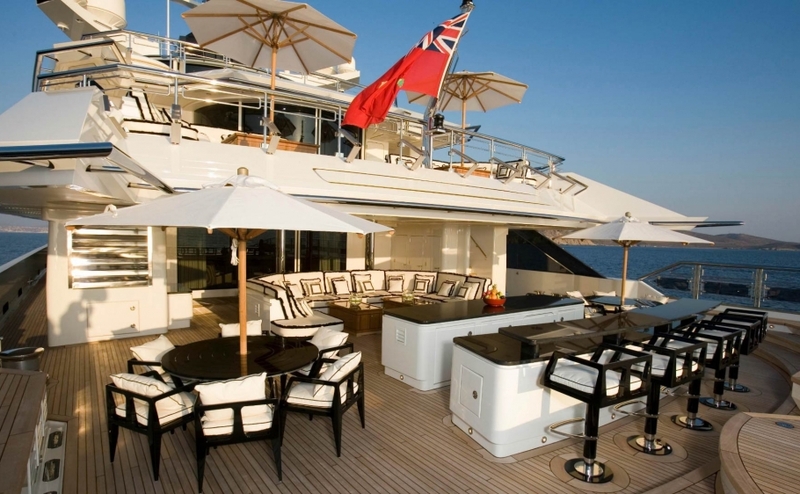 Not only, She is admired on the French and Italian Riviera. 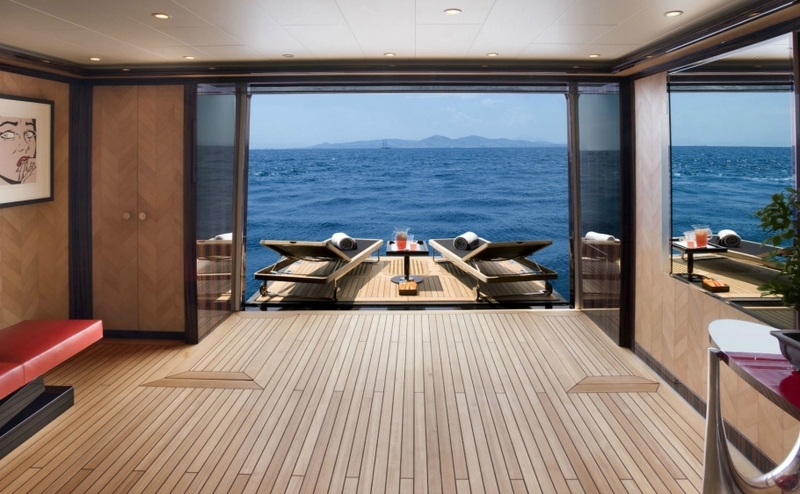 ALFA NERO also goes further South toward Sicily and stops by numerous Amalfi Coast ports, Corsica and Sardinia where guests can enjoy her impressive leisure and entertainment facilities.